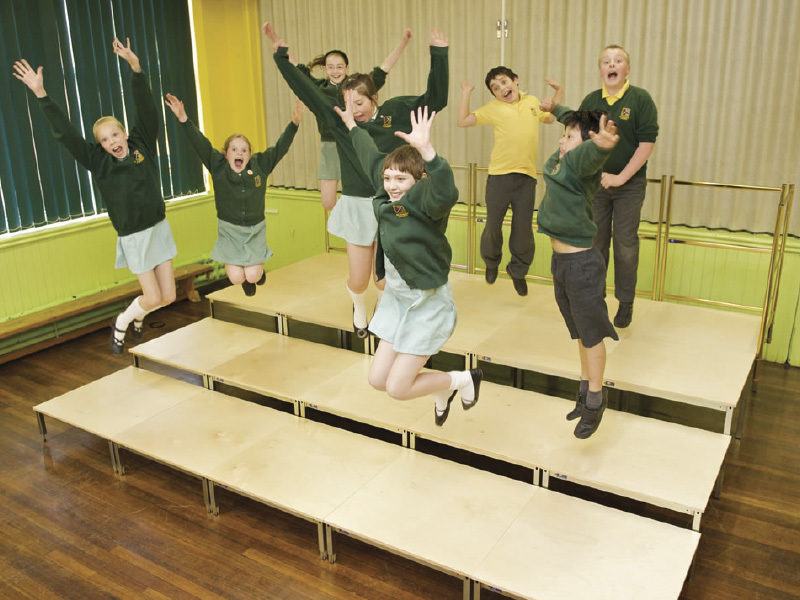 We aim to make purchasing your portable, modular staging as simple as possible. With our team on hand to help you every step of the way, please don't hesitate to get in touch on 01254 680575 or chat with us on our live chat function if you require any information or advice. Do you offer a demonstration service? We do! We understand the importance of making the right purchase and we are so confident we'll have the right solution for you, we would be delighted to let you take a look first hand at our staging. Our free of charge staging demonstration service allows our advisor to measure your area and make recommendations for your space. It also allows you to see and test the staging and understand how easy it is to build and store. Our demonstration service means you can address any questions as they arise, face to face giving you complete confidence that you are purchasing the right staging system for you. We certainly do, and further a field. We offer a nationwide delivery and demonstration service. Our staging resides in places as far as Dubai and Cyprus. Will you show us how to use the staging on delivery? Our delivery team will ensure your staging is delivered to you on time, exactly when we agree. Upon delivery the stage can be assembled for you or stored away neatly ready for your next performance. Our team will show you how the portable staging goes together and make sure your happy before we leave. No! You can order as much or as little staging for your school, church, hotel or venue as you require and can be added to at any time. All of our staging is modular so can be added to and adapted as the need arrises. Can I add to my stage at any time? All of our staging is modular so can be added to and adapted as the need arrises. Add another level, or a row of stacker frames, or simply want some front valances, our team are available to assist you at any time. Does the portable staging come with a guarantee? We our extremely proud of our manufacturing reputation. All of our staging is manufactured in our production facility in Blackburn, Lancashire and we are proud to offer a 10 year warranty on manufacturing defects. If I order a Flat Stage but down the line I’d like a Multi-Level Stage is this something that can be done or would I need to buy a Multi-Level Set? Absolutely! Simply add a row of stacker frames, and transform your single level stage into a multi level platform. Not sure what you need? We're always on hand to offer help and advice. Does Unistage require tools to be built and taken down? No. 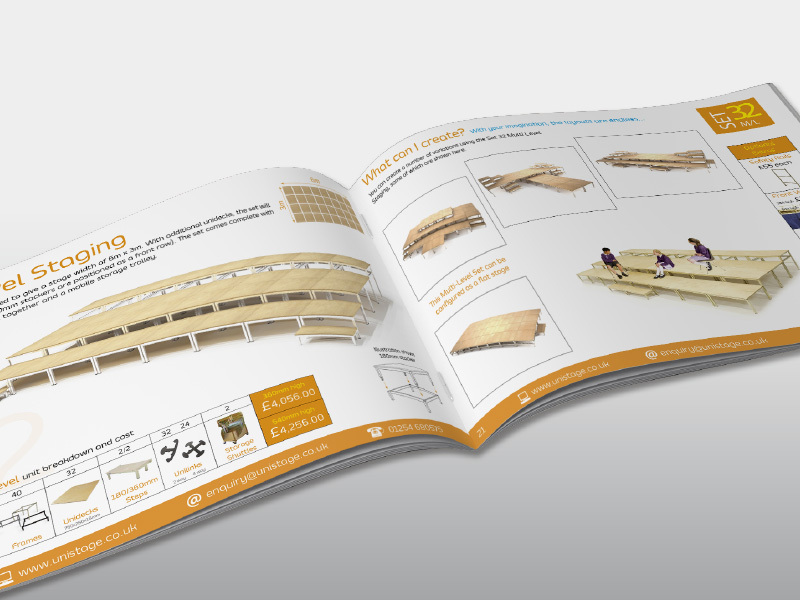 All of our modular staging is simple and easy to build without any need for tools. Unistage is built with 3 principle components; frame, Unideck and unilink. Please see the video on the home page to see how easy our portable staging is to build. If you'd like to experience the simplicity first hand, we offer a free of charge Nationwide demonstration service. Can the staging be built & dismantled by 1 person? It can. 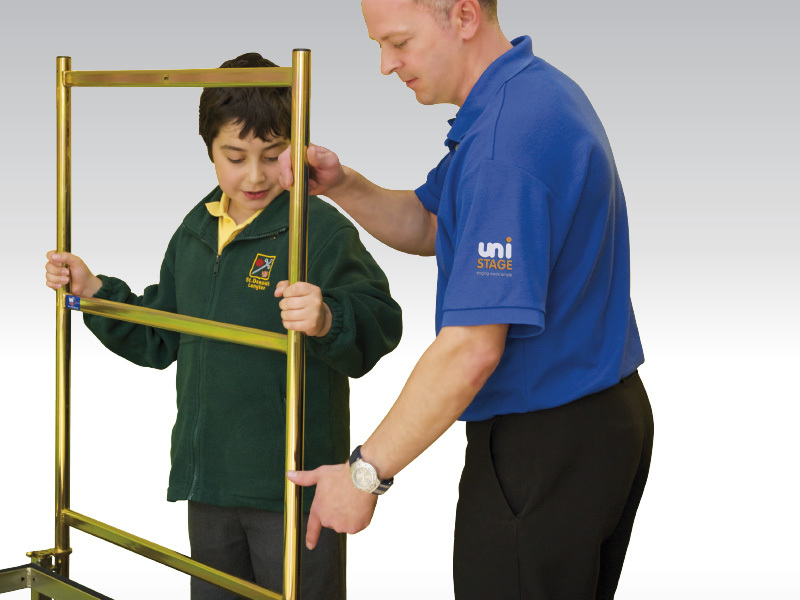 Unistage is designed to ensure 1 person can build and configure, it's so simple, school children are able to do it. Do you offer various payment options or a rental agreement? We do, talk to us for more information. We are able to offer finance, deferred payment and rental. We can always devise a plan suitable for your budget and circumstance.